One of the most requested WhatsApp feature has finally arrived. Our favorite IM app has just launched its Web client, meaning that WhatsApp users will now be able to communicate with their contacts right from their desktop. More on this incredible news and how to get it up and running can be found right here. Aptly titled ‘WhatsApp Web,’ the service is currently available for users on the Android, Windows Phone and BlackBerry platforms. Where’s iOS? Well, users have to wait a while, since according to WhatsApp, Apple has certain platform limitations, so don’t expect it to arrive any time soon. Interestingly, the service is only accessible via the Chrome browser for desktop and its Android based app. Mac users cannot access WhatsApp Web via Safari, but can use Chrome for that very purpose, and the iOS version of the Big G’s Web browser isn’t supported either. According to the WhatsApp team, support for more browsers is likely to be coming soon. Now that we have established where WhatsApp Web will run and where it won’t, we take a quick look at how the service works. 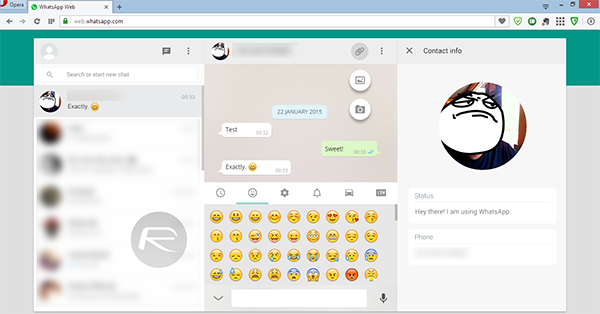 Basically the Web client is a mirror of your WhatsApp app, with slight changes to the UI, but nothing Android users won’t be familiar with. Step 1: Be sure that you are running the latest version of WhatsApp on your smartphone. 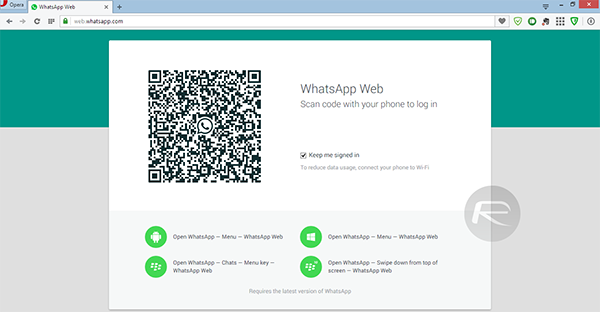 Step 2: Head over to the web.whatsapp.com URL, where you will be greeted with a QR code that needs to be scanned. Step 3: The webpage also lists where you can access the WhatsApp Web option on your Android, BlackBerry or Windows Phone device. Tap that option on your phone’s WhatsApp client, which will launch the QR code scanner. Step 4: Scan the code and voila! WhatsApp Web should launch in a matter of few seconds. Using the service itself is no rocket science and comes loaded with all the awesome functions and features that we have come to know in WhatsApp. The Web client allows users to enable desktop notifications as well which is a pretty nifty addition to the existing features’ list. If you’re an Android, Windows Phone or BlackBerry user, then we highly recommend that you give WhatsApp Web a shot. And if you do happen to take it for a spin, then do share your thoughts and opinions on it with us in the comments section below. What possible limitations does iOS have? WeChat on iOS has a webchat that works the same way as the WhatsApp one (scan QR code). So I don’t really find that excuse acceptable. No option to cancel auto download, avoid this. What is the point if your Cellphone needs to be on and connected to whatsapp while you’re using the web client?. This is such a security issue!!! No password required! Just picture someone got your cell (that was unlocked because you were showing a pic, etc.)…. and imagine the rest of the story but anyone could have gotten access to your account!!!! The Whatsapp phone app does not display a list of conected users nor allows you to disconect a user from peeping your messages. you would have to be teen not to see the implications. Is the mobile app the actual webhost? Is that why we can’t get it on iOS because you can’t really run a service on the iPhone that doesn’t die after 8mins of idle? I have tablet pc. 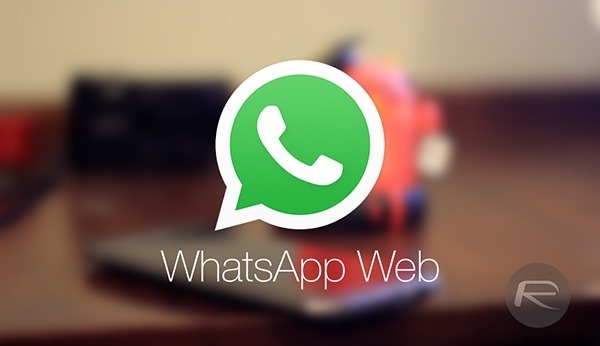 (no 3g) Whatsapp web not working with android Chrome…I want to use whatsapp web… but how? Anyone has figured out how to resolve this? Same here too, any resolution? Perfect! It would be nice if WA had that in the web client setup page. That, or a scan button plainly visible in the app. Thanks for the help! it’s alright, but i would like to see a PC based client more like Viber than this web based client, a client that will be running without needing my web browser. Solved here! Delete programs like superfish, adware, etc. Your computer connects to your phone via web, and it sends/and receives message to it, which forwards them to the recipient/you. This method utilises your phone, so if it’s powered off, whatsapp web won’t work. cant seem to connect using iphone 3G any help? FYI, such a simple instruction for scanning the QR code is omitted. The menu item only displays WhatsApp Web when you’re in the CHATS section of the app. If you’re on CALLS or CONTACTS, it won’t show.